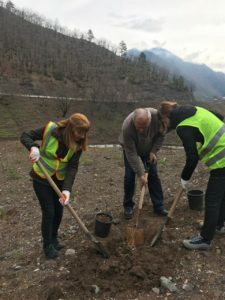 Within the “April Cool” campaign, on April 1 Adjaristsqali Georgia team planted trees on Zamleti Spoil Disposal Area. In particular, the Company representatives planted forty saplings of Oak and Walnut trees. 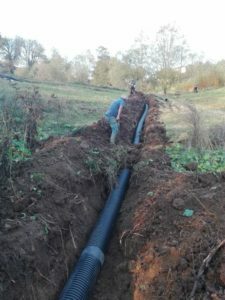 The purpose of the event was to support the restoration of the forest and the construction site. 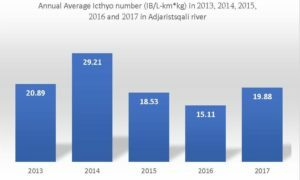 The Company plans to undertake similar activities in the future too. Adjaristsqali Georgia LLC started awareness raising and informational meetings with school children of the affected communities. On December 21 a meeting was held in Didachara Public School, Khulo. AGL team talked about Composting – an organic process that recycles various organic materials otherwise regarded as waste products and produces a soil conditioner (the compost) which is used in organic farming, how to make Compost and the importance of using it. Students of the 9th, 10th and 11th forms attended the meeting. Following the meeting with Didachara school children, on December 25 informational meeting on the same topic was conducted with Akhaldaba Public school children, Shuakhevi. 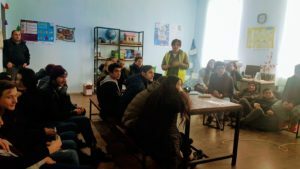 In the future AGL within the framework of the awareness raising activities plans to continue meetings with the school children on different topics. 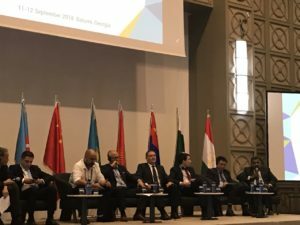 On September 10 Adjaristsqali Georgia LLC hosted delegates of the 3rd CAREC Energy Investment Forum at the Shuakhevi hydropower plant. 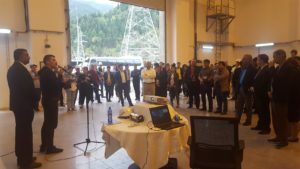 AGL CEO Mr. Prashant Joshi gave overview presentation about the Company and the Project, followed by Q&A and Shuakhevi power plant tour. 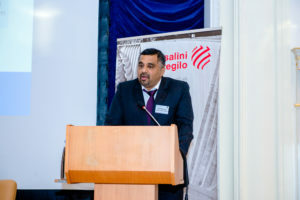 The delegations of the Central Asian Regional Economic Cooperation (CAREC) member states (which include Georgia, Azerbaijan, China, Pakistan, Afghanistan, Kazakhstan, Kyrgyzstan, Turkmenistan, Uzbekistan, Tajikistan and Mongolia) participated in a guided site tour which included government officials, regulators, investors, suppliers, project developers, etc. Social Department of the Adjaristsqali Georgia LLC hosted representatives from the international non-governmental organization World Vision. The aim of the visit was to share experience acquired by AGL in social engagement and CSR projects and discuss possible ways of future cooperation. World Vision representatives also visited the Shuakhevi power plant. AGL representatives together with the World Vision staff met the Shuakhevi Municipality Mayor Mr. Fridon Futkaradze. 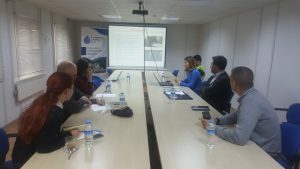 During the meeting problems of disabled people and current condition of the Rehabilitation Day Center for Disable Children (which is under construction) were discussed. Following the meeting, parties also visited the Rehabilitation Day Center. 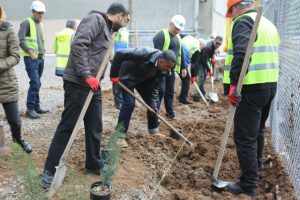 On December 18 Adjaristsqali Georgia LLC team planted tree saplings near the Shuakhevi powerhouse area. 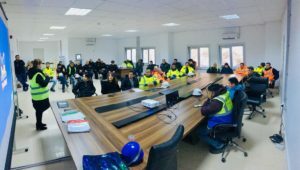 This eco-friendly activity has not only positive environmental impact but also contributed to team building and bringing colleagues together in the fresh air as a part of the company’s corporate responsibility. AGL team members planted a mix of native trees including oak, walnut, pine tree, etc. Totally 70 saplings. Within the CSR the Company plans to undertake the similar initiatives in the future also.